Since its founding in 2010, The Clandestine Cake Club has been an unprecedented success. Over 170 clubs have popped up across the globe, with thousands of people flocking to secret locations, armed with new cakes and recipes. For the first time, the best of these recipes have been compiled into a new, beautifully crafted cookbook. 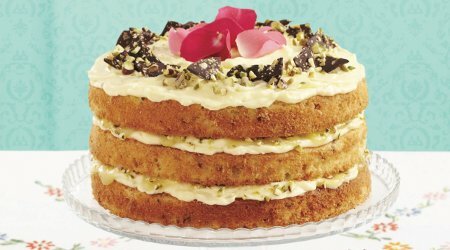 Whether you’re a seasoned baker or complete novice, it has something for everyone; from Torta Colombina, and Cayman Mango Cake, to Chocolate and Marmite Caramel Cake. Come and meet Lynn Hill, the driving force behind the Clandestine enterprise, and even sample some of the fabulous cake yourself! Plus Jane Middleton, Anita Mangan & Caroline Harris, the creative team who designed this beautiful book, will be here to talk about styling and designing a cook book.